The father of a baby girl whose mother took her out of Canada against his wishes last year is suing the RCMP for negligence, alleging the force helped her to commit a criminal offence. “I’m just so angry. I just can’t imagine anyone would ever do this to somebody else,” said Craig Johnstone, 28, an electrician from North Vancouver. Richmond RCMP let the mother leave, even though they had removed her from a flight the previous night for suspected parental abduction. She was trying to move to Australia with their Canadian-born daughter, who was six months old at the time. Police allowed Australian-born Natasha Bride, 33, to board the second plane just as Johnstone got a court order, which he said he told the RCMP he was getting, barring the mother from leaving. The now worthless court order had ordered the RCMP to seize her passport, along with the baby’s. “They were going to wait for me to get a court order and then enforce the law. But they didn’t,” said Johnstone. He and his family are devastated over losing the little girl. He said he’s only seen her three times in 10 months – short, awkward visits in Australia. He also lost a court bid there to have the baby brought back to Canada, because the court ruled Australia is now her home. He now fears she will grow up without a father. “I ask to go on Skype. I ask for pictures. I ask how she’s doing. [Her mother] won’t tell me anything. She just ignores me,” said Johnstone, wiping away tears. “Who is going to police the police in this case?” said the baby’s paternal grandmother Jane Johnstone, who also broke down in tears. This all happened after Johnstone went to Bride’s apartment last April 15 and found she had packed up and left. He called the West Vancouver police, because he believed she was at the airport with the baby. The couple had recently separated. Johnstone claimed Bride was suffering from post-partum anxiety and starting verbal fights with him, so he moved out to give the baby a more peaceful environment. “Natasha would just get upset with me over pretty much anything…and it just wasn’t good for my daughter,” said Johnstone. 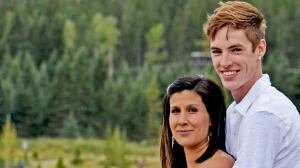 Johnstone told West Vancouver police that Bride did not have his permission to leave with the child and said that was relayed to the RCMP at the Vancouver airport. After the RCMP removed the baby girl and her mother from the Air Canada Sydney-bound flight, West Vancouver Police advised Johnstone to get the court order, which he did, while staying in touch with the RCMP by phone. As he was on his way to the airport to deliver the court papers, RCMP Const. Chan called him back to say Bride was gone. Air Canada confirmed to Go Public it was the RCMP that authorized her to leave. “We had received authorization from both the RCMP and … the Australian consulate authorities who cleared the passenger and child to travel the following day,” said Air Canada spokesperson Angela Mah. He said the RCMP never explained their actions. He suspects officers bought a story from his ex – without any evidence – that she was an abuse victim. Bride did later claim in an affidavit filed with an Australian court that she had to flee for her safety. “I was living in the shadows of an abusive relationship…I was being abused…I was on a plane home and I was removed off the plane by police. The trauma felt like it would never end,” said Bride. Johnstone said Bride also made false claims of abuse to the Australian consulate in Vancouver, so she could get the baby a passport without his knowledge or permission. Canadian police reports from before she left show it was Johnstone who called 911 – to report Bride was being irrational. “Neither party had any injuries and there was no sign of a physical altercation,” reads a February report from the North Vancouver RCMP. Bride didn’t respond to requests for comment. The RCMP told Go Public officers at the airport took their direction from the West Vancouver police — to intercept the mother on the first flight — and could do no more. “Richmond RCMP spoke with the mother and relayed the result of their discussion with her to the West Vancouver Police Department,” said spokesperson Cpl. Dennis Hwang. A former police officer who runs the Missing Children’s Society in Canada said the RCMP could have detained Bride and investigated — but instead clearly dropped the ball. 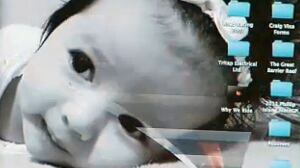 “I would have charged her with parental abduction,” said Ted Davis. He also said false claims of abuse are common in these cases. 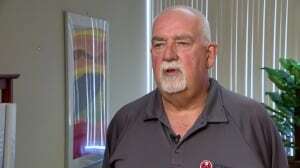 The RCMP’s parental abduction specialist in Ottawa also said police have grounds to do more. “I would advise them that they do have the authority to hold on to the parent they have arrested until they have a chance to investigate it,” Sgt. Jane Boissonneault of the RCMP National Missing Children Operations, in a phone interview. She also said many officers don’t know how to handle parental abductions, because they don’t deal with them often. “We do know anecdotally that not all police officers in the field are aware of the legislation in this area. They are not familiar enough with those sections of the Criminal Code,” she said. 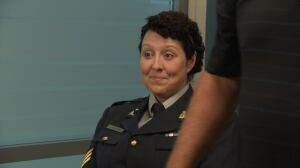 Go Public then tried to interview Boissonneault on camera, but an RCMP media relations person abruptly cut off the interview when we asked her what police are supposed to do. “It’s really not conducive to us getting our messaging across … so I think we’re going to end it here … we’re going to end it now,” said Sgt. Greg Cox, from RCMP Media Relations. He then cut our connection. Neil Chantler, the lawyer handling Johnstone’s lawsuit against the RCMP, said, “They owe a duty of care to Craig [Johnstone] who is a victim of what appears to be a child abduction.” The suit also names the West Vancouver Police Department, because it was also involved. Meanwhile, Johnstone said he’s already racked up $50,000 in legal bills and can’t move to Australia easily because he has to first get a visa to work there. Even if he does, he has no idea if or when he will see his child. This entry was posted in Uncategorized and tagged Australia Abducted, Canada, Child Recovery, Craig Johnstone, Eric Chan, Johnstone Abducted, Natasha Bride, Parental Abduction Canada, Parental child abduction, police officer Ted Davis, RCMP, RCMP negligent in parental abduction, Vancouver Abduction. Bookmark the permalink.